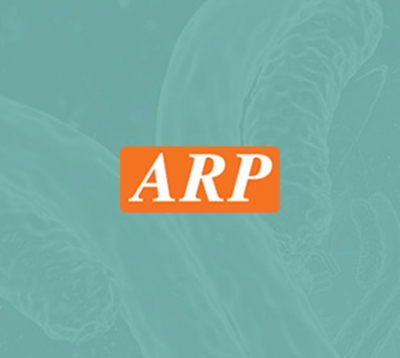 Bioreagents | ARP American Research Products, Inc.
A reagent is defined as a substance or compound that is added to a system in order to bring about a chemical reaction or added to see if a reaction occurs. It is often likened to a reactant, however, a reagent is not consumed during the chemical reaction. A bioreagent is a reagent that has a biological origin. Enzymes are an example of a bioreagent. A buffer solution is an aqueous solution consisting of a mixture of either a weak acid and its conjugate base or a weak base and its conjugate acid. A buffer’s pH changes very little when a small amount of strong acid or base is added to it. Because of this lab buffers are used to prevent changes in the pH of a solution and can keep pH at a nearly constant value in a wide variety of chemical applications. Many bioreagents such as enzymes work only under very precise conditions; if the pH moves outside of a narrow range, the enzymes slow or stop working and can denature. In many cases, denaturation can permanently disable their catalytic activity. Many organisms require a buffer solution to keep the correct pH for enzymes so they will continue to work. The hundreds of reagents and bioreagent buffer solutions here at ARP are used for a wide range of biological reactions. We look forward to providing research institutions and biotechnology customers with the highest quality of reagents, buffers and research laboratory supplies. Do you have questions about specific bioreagents or need custom formulations ? Give us a call at (800) 832-2611 or email us at staff@arp1.com and we will be happy to help you.